OxChain is a £1.3mil EPSRC project with Raluca Bunduchi & Aggelos Kiayias, Edinburgh; John Vines, Northumbria; and Nigel Davies, Lancaster. What does it mean to change the fundamentals of our 20th century economic model? How do we make our supply chains more sustainable? How will the practices and politics of distribution be changed by new digital technologies? The arrival of the Blockchain promises to radically change the way we share, circulate and distribute the things that we value. The Blockchain is a software technology which underpins alternative currencies. It is a distributed, secure and shared database of transactions which opens up the possibility of fundamental changes to our current use of fiat currencies as the primary method of value exchange, enabling new forms of social interaction, and different models of trust between people and institutions. However, the possible benefits for the not-for-profit sector has only begun to be understood, and much research and innovation is presently limited to the financial and tech industries. The goal of our research is to explore how Blockchain technologies can be used to reshape value in a much broader and diversified way. Ox-Chain is a major research project between the Universities of Edinburgh, Northumbria and Lancaster, and research partners Oxfam, Zero Waste Scotland, Volunteer Scotland and WHALE Arts, funded by the Engineering and Physical Sciences Research Council. It brings together experts in digital design, cryptography, business and international development. Through collaborative research, we will design a Blockchain for Oxfam to better support the circulation and re-circulation of valuable items within its business model – hence ‘Ox-Chain’. More broadly, drawing on the expertise and practices of our research partners, we will explore the reconfiguration of economic, social and cultural life which may be made possible by digital, peer-to-peer value exchange. The project is highly interdisciplinary. 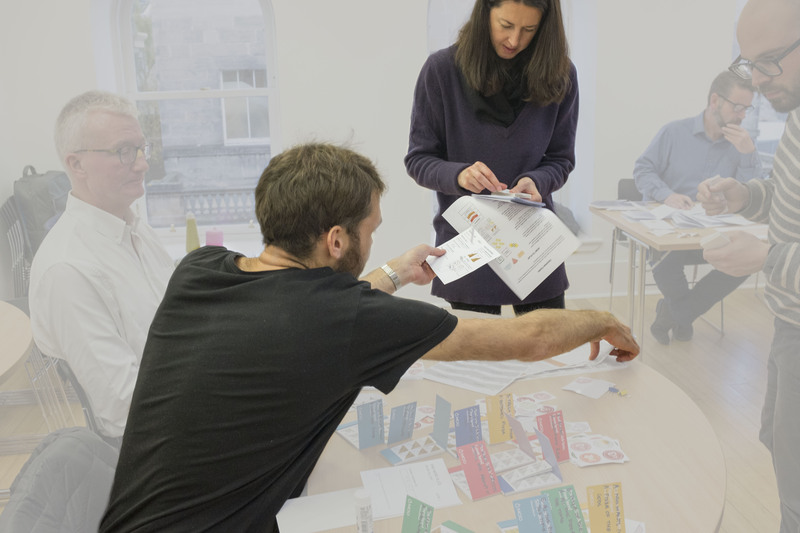 It combines a collaborative design-led approach to practical problems of designing with data, with a critical approach which draws on multi-site ethnographies, social and political theory and human geography, along with business studies and entrepreneurship. Through our research blog we will provide updates on our work, critical insights into debates, and invite contributions from researchers working in similar areas.